I adore mason jars and there is no better way to spice up a table centerpiece or have a fun craft than to include them. 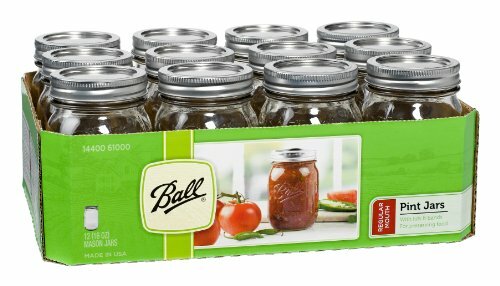 With Thanksgiving just a hot minute away, many people are looking to do their Fall Decorating Mason Jars. Personally, I love spray paint mason jars because they make gorgeous table decor and particularly gold, chrome, silver, and many of the metallic colors blend well with the hues of fall. To get you started, I wanted to share a craft so simple you can have your decorations done before dinner time. Of course, another alternative is chalk paint mason jars and I have a ton of additional ideas here in my Mason Jar DIY category if you want to look around. 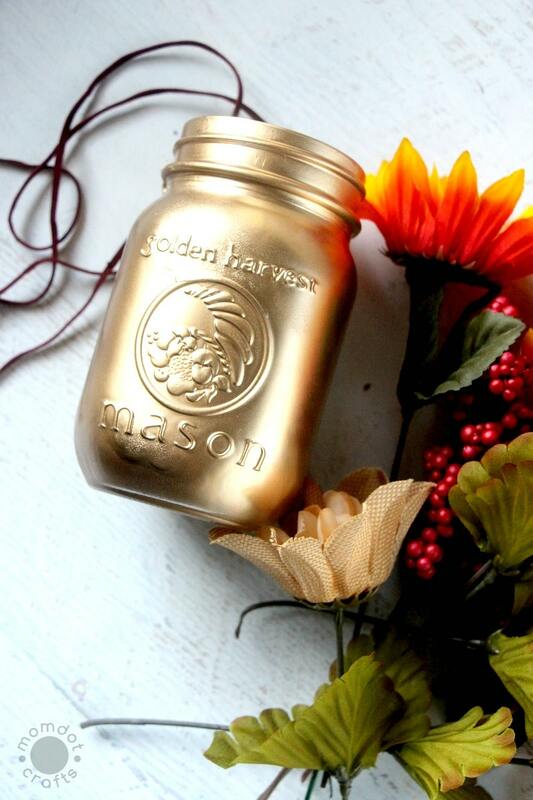 Take your mason jar outside and spray well with your gold spray paint . Avoid adding too much paint, instead allow the paint to dry thoroughly (approximately 2-3 hours) and then do a second coat. Wrap the burgundy twine around the neck of the mason jar. If you’d like to add a flower to the twine, use a hot glue gun to attach it to the twine. 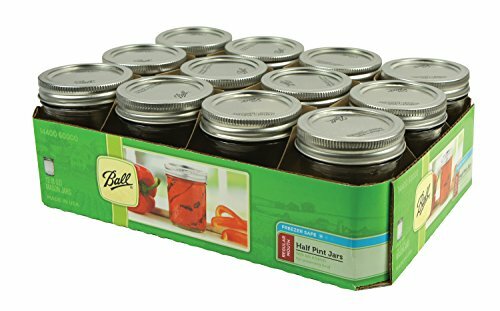 Insert the floral foam and push down to the bottom of the mason jar. Arrange your flowers loosely, and when you’ve achieved a design you like, press them down to secure them in the floral foam.